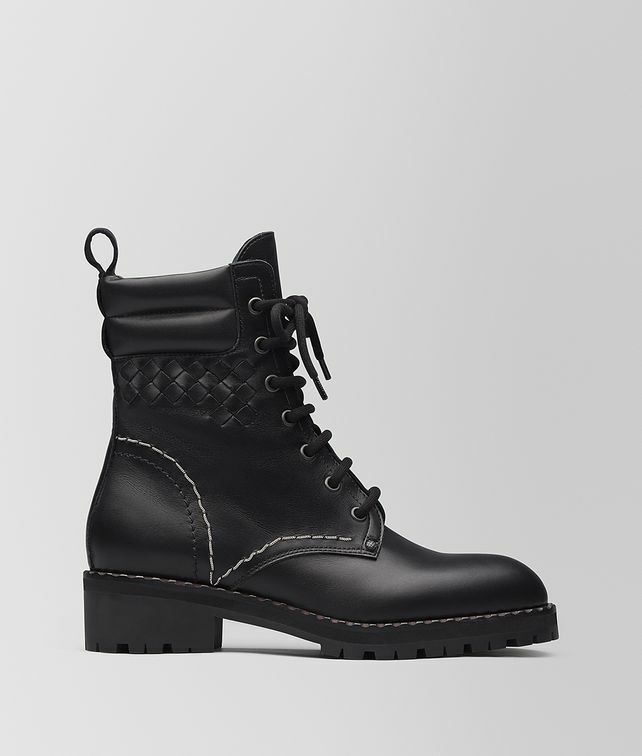 Crafted from sturdy calf leather, these boots are inspired by combat styles. The pair features a lace-up front that's detailed with an intrecciato inlay and a delicate silver chain embroidery that mirrors this season’s ready-to-wear. They’re set on a bold rubber lug sole to easily take on the elements of fall and winter.